Leading Wholesale Supplier of fingerprint time attendance system and time attendance system from New Delhi. Our range of Fingerprint Time Attendance System is equipped with the most power packed fingerprint and time attendance recorder. 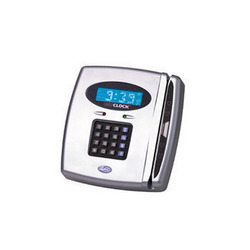 This system is available with fastest fingerprint identification and verification speed. It also has intelligent fingerprint recognition technology, that is first time in industry. This system automatically learns and adapts to the changes in the fingerprints, that leads to lowest false rejections. Our system is incorporated with fast TCP/IP network communication, popular USB flash disk function to download/upload users and attendance logs. Integrated voice chip, with easy to understand human voice instructions. 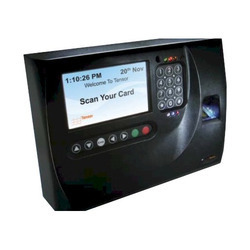 We offer a wide assortment of Time Attendance System, that are equipped with integrated human voice and buzzer, high password storage capacity, battery backup transaction storage capacity. Our range is available with time attendance software. Real-time clock 8.RS232/TCP IP 9.Battery backup.